Which Country is the Most Generous on Pokémon Wonder Trade? For those not in the know Pokémon is a game about collecting as many of digital monsters as you can. 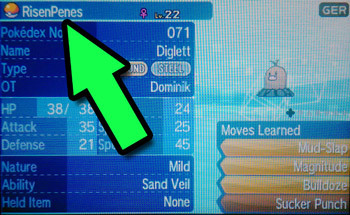 Wonder Trade allows you to put up a Pokémon you have caught and Nintendo will randomly find another person currently using Wonder Trade and swap your two Pokémon around, the interesting thing is you don't know what you are going to get, and your Pokémon is gone for good, you can't get it back once the trade has been finished. You may find you put in your fairly valuable Pokémon only to be given a rubbish pidgin in return. 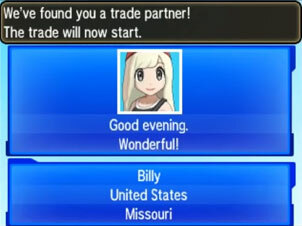 Before this happens you do get to see the player name of the person about to get your Pokémon and what country they are from, after doing many hundreds of trades I found myself guessing what I was about to get just from the location of the other player. Often I was wrong but it got me wondering if there was a small trend for countries to be more or less stingy on what they give the other player. It's worth saying there is absolutely no advantage to giving away a valuable Pokémon, you are just connected with a random person and they will get whatever you give them. So this led me to ponder if countries with higher average incomes would be more generous with what they gave away? Would a richer country give more valuable Pokémon to a random person they don't know? Or are poor countries better at sharing their wealth? - Found in the first 2 hours of the game. - Found after the start of the game. - Only one obtainable in this game. - Not in this. game. - Needed to be evolved. - Only one obtainable in another game. - Legendary in this game. - Starter from another game. - Legendary from another game. - Shiny from another game. - Shiny Pokemon you can only get one of. To keep it fair I made sure I did trades at all times of the day to try and capture as many countries as possible. Most of the time I would put up a starter Pokémon of my own from the older games. 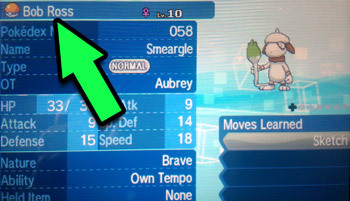 so if you got a starter from Wonder Trade with a funny name it might have been from me. I don't know how prevalent hacked Pokémon are and this could skew the results (richer or poorer countries being more likely to use those tools). I did get an excessive amount of shiny Pokémon and I can't believe those are legitimately being given away in that quantity. - Excludes countries that did less than 3 trades. - Excludes the 3 times I forgot to record the country. Let’s have a look at the amount of trades I got for each country, because obviously the more trades I got from a place the more accurate the result will be. You can already see some of the low scoring countries had the least trades because they were not given the time to get some of these rarer trades that would bring up their score, and I accept that, however it’s still fun to carry on and see the results. I am aware its pretty ruthless to rate countries by their average income, but also its really brutal rating the generosity on a very small number of trades. I had a perception that trades at around midnight GMT were the worst, I didn't let this change when I did trades and just spread them out when I could, but I once got 4 Magikarp's in a row which is about as lucky as rolling the same number 3 times on a roulette wheel. It does look to me that the general trend of this graph shows that a countries wealth matches the score they got for their Wonder Trades, there are loads of reasons why this graph could be wrong or there are other factors impacting it. but there does seem to be a correlation to me. A few months before I thought about recording my trades I got a shiny Ditto with maxed out evs, while Ditto itself isn't rare this has been a crazy valuable Pokémon for me as it allows me to breed other Pokémon. I got this before I started recording the country, but whoever you are I thank you because this has totally changed how I play the game. This is the most valuable thing I received because it took a lot of work from the other person to make. I also got some trades with names that made me laugh, here are a few of them. If you disagree with how I rated each Pokémon or just want to have a play around I think it would be fun to download my raw data and have a play for yourself. You could change the values I gave for each trade and see if that impacts the final results.